Applications are now being accepted for Na Hua Ho’ohuli i ka Pono, a service-learning program specifically designed to help develop Maui’s next generation of conservation leaders. 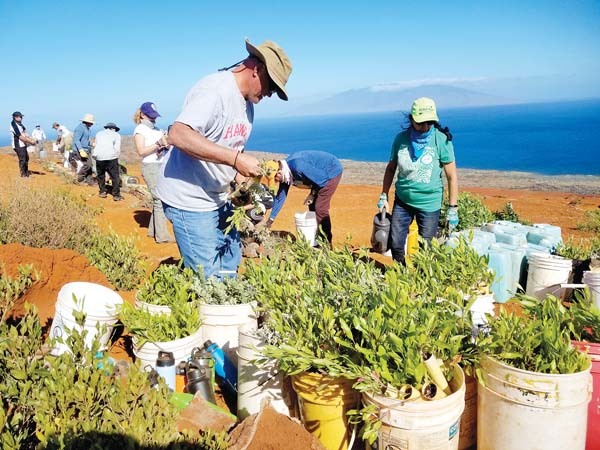 Host agencies for the Summer 2019 Program are the Maui Forest Bird Recovery Project, Maui Invasive Species Committee, Maui Nui Botanical Gardens, Maui Nui Seabird Recovery Project and The Nature Conservancy. Five positions are available for college-level students who have an interest in integrating conservation as part of the foundation for a future career in any field they may be pursuing. Applicants will be selected through a competitive process that includes a formal application, criminal history check and interview. Participants will earn a biweekly living allowance of $800 and are eligible to earn a $1,252 AmeriCorps Education Award that may be applied toward higher education costs or student loans. Participants will also attend the Hawai’i Conservation Conference on Oahu held for one week in July, all expenses paid. Interested candidates must be available for 40 hours a week from June 10 to Aug. 2. Members are responsible for their own transportation and housing accommodations. Completed applications and all required documents must be received by 8 a.m. Feb. 18. For more information and to obtain an application packet, visit www.nhhphawaii.org or contact the program coordinator at serena@nhhphawaii.org or (808) 727-2184.